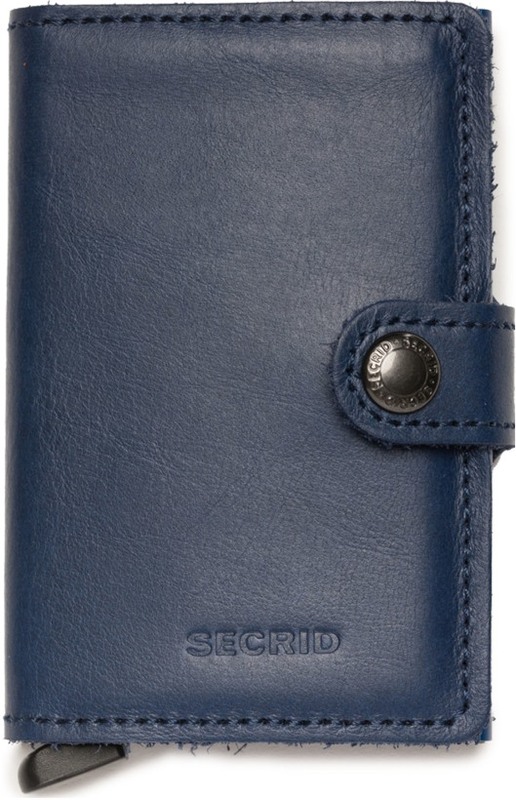 Navy compact smooth durable leather large storage billfold wallet. Front engraved snap button strap closure. Corrected grain leather. Natural glossy finish. Two interior card and cash slots. Large interior fold money clip. Blue interior aluminum card protector case. Patented lever slide mechanism on bottom. White Secrid graphic print logo on side. Secrid debossed print logo on front. Tonal stitching. 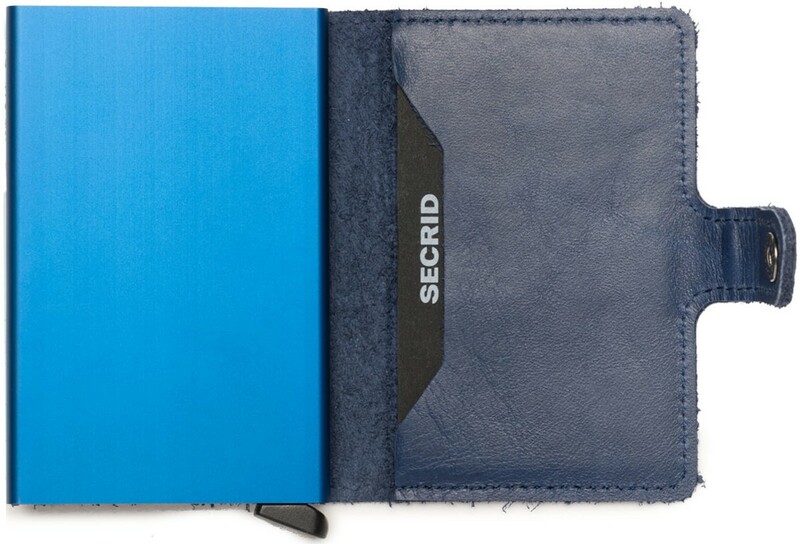 Holds: 4 embossed or 6 flat cards, 4 extra cards, banknotes, business cards, and receipts. 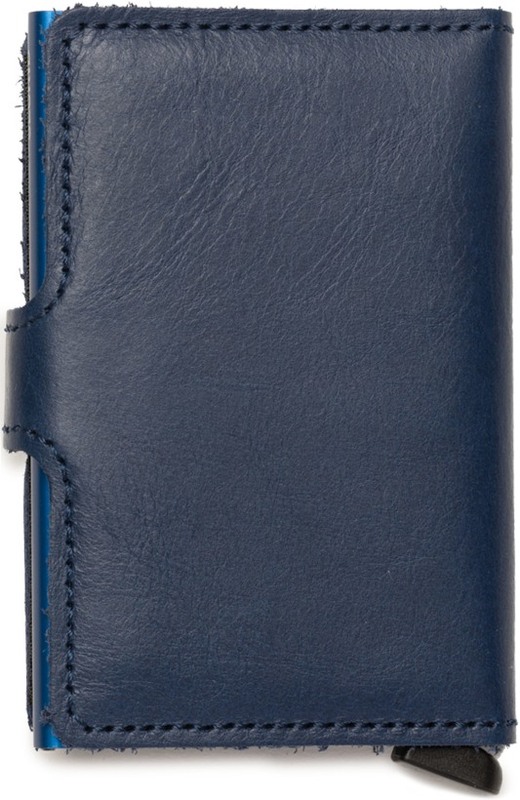 100% European cowhide leather. 2.4 x 3.8 x 0.6 Inch dimensions. 72 Grams. Made in Holland and Italy.